The Kidder steam carriage used two separate cylinders of 3 hp each, mounted horizontally on each side of the boiler. Drive to the rear axle was direct. 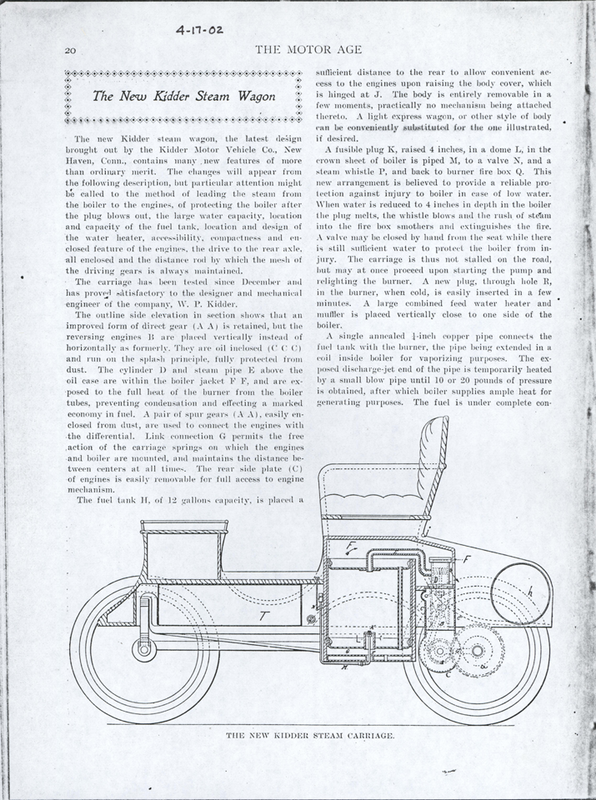 A two-passenger was the only body style (apart from a delivery car), and the car used tiller steering. The price was $1,000, or rather more than the cheapest of the steam buggies. 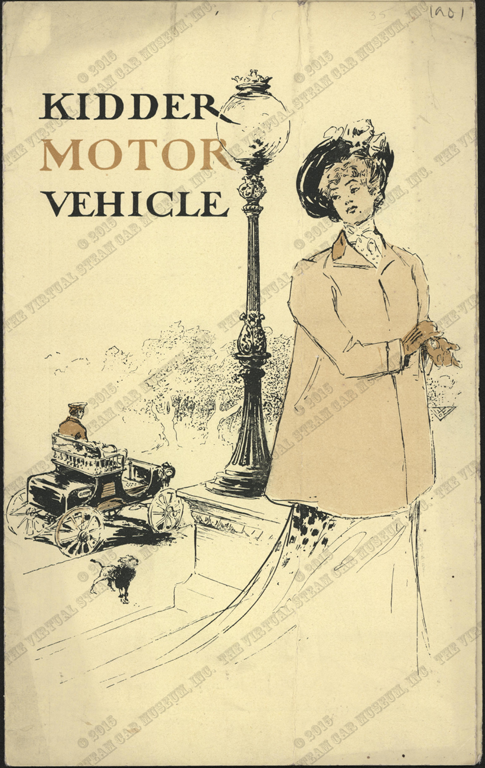 The Kidder Motor Vehicle Company produced this 1901 trade catalogue that instructed readers to visit the Company's booth at the "Machinery and Transportation Building at the Pan American Exposition." John A. Conde Collection. 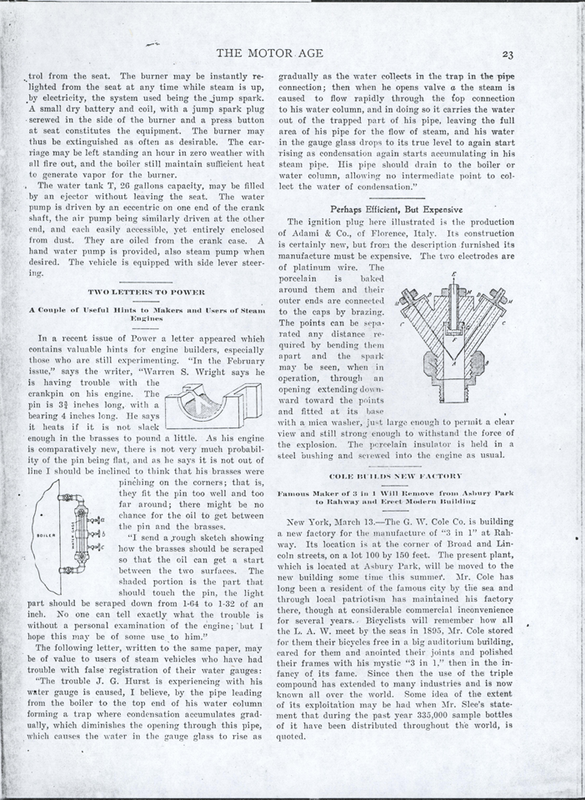 Motor Age published this article about the Kidder Steam wagon on April 17, 1902, p. 23. John A. Conde Collection. John Conde's File Folder . John A. Conde Collection. John Conde possessed a photocopied version of this catalogue. Contact us if you have additional information about the Kidder Motor Vehicle Company, or if you have questions.